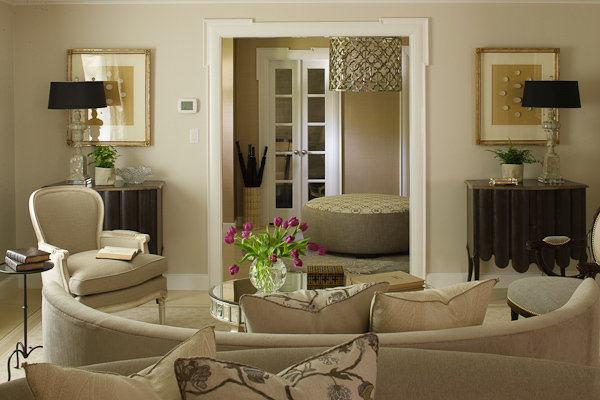 Symmetry contributes to the appealing scale and proportion of the living room of this Boston home, designed by John Stefanon. All photos: Michael Stavardis. A mix of furnishings and accents brings spirited yet subtle eclectic flavor to the serene bedroom. To find out more about John’s work, visit his Web site. 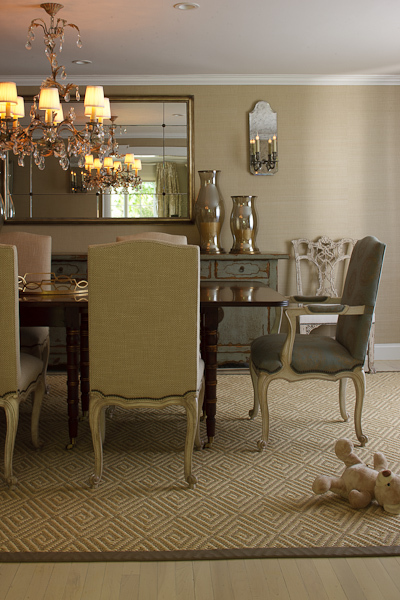 The shape and texture of the chandelier are echoed in the pattern of the round ottoman. 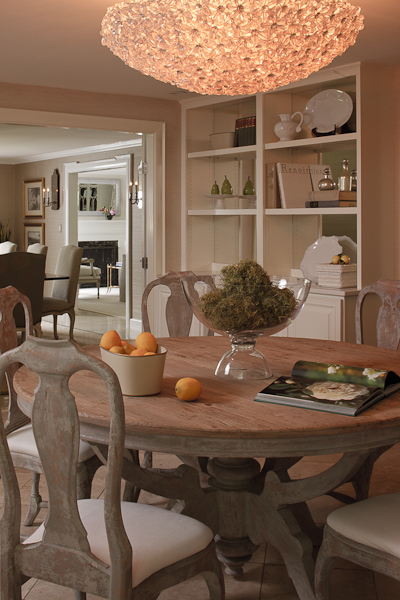 Subtle color and texture brighten a casual dining area. A massive chandelier, reflected in the mirror of the formal dining area, complements the large scale of the table and chairs.